The lengthy battle over hunting access on dozens of units of the 100 million-acre National Wildlife Refuge system has ended—and hunters can declare VICTORY! In April 2011, federal Judge James S. Gwin ruled for sportsmen across America by granting summary judgment in favor of the U.S. Sportsmen’s Alliance Foundation, the U.S. Fish and Wildlife Service, and other defendants while denying a lawsuit aimed at closing hunting on National Wildlife Refuge System parcels. After this ruling, an appeal process was opened, and the appeal clock began ticking. On Monday, that appeal period came to an end with the Humane Society of the United States (HSUS) failing to file any appeal. “This long sought win is a great victory for hunters everywhere, and reinforces the process of keeping national wildlife refuges open for hunting, by hunters,” said Bill Horn, the US Sportsmen’s Alliance director of federal affairs. This long-running case began in 2003, when the Fund for Animals, which later merged with the HSUS, filed a lawsuit to stop hunting on 39 refuges. 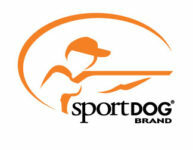 The U.S. Sportsmen’s Alliance Foundation (USSAF), along with other organizations, intervened on behalf of sportsmen. Anti-hunting groups later expanded the lawsuit to nearly 60 refuges. USSAF defended this case for eight years, through many rounds of hard-fought and costly briefing, providing stability in the defense as the U.S. attorneys assigned to the case changed frequently over that time. The 1997 Refuge Improvement Act, championed by the USSA, made hunting, fishing and other wildlife oriented activities priority uses on refuge units. The Act also mandated hunting and fishing activities be “facilitated”. Now, 14 years after passage of the Act, Judge Gwin’s ruling firmly rejects Plaintiffs’ attempt to “end run” the Act. The U.S. Sportsmen’s Legal Defense Fund (SLDF), the legal arm of the U.S. Sportsmen’s Alliance Foundation, has worked since the beginning of this case to defend the rights of hunters and has collaborated with other groups including Safari Club International (SCI). Together, the SLDF and SCI are co-counsels and also represent Ducks Unlimited, the National Rifle Association, Izaak Walton League, Delta Waterfowl Foundation, and California Waterfowl Association. National Wildlife Refuges provide vast opportunities for hunters seeking waterfowl, big game, furbearers, and much more. Refuge hunting provides countless hours of public recreation while also helping maintaining optimal wildlife populations. The National Wildlife Refuge System Administration Act of 1966 empowered the Fish and Wildlife Service to open refuges to hunting when compatible with the purposes for which the refuges were established. Today, hunters can continue to enjoy these benefits thanks to this important win.